I have a guest post up on Canadian Budget Binder that can save you a lot of money on car insurance. See the link at the bottom of this post. The awesome thing is, the savings will keep coming in year after year. There is also a way to tie in your life insurance, house insurance, and boat insurance for even more savings. Cha-ching! The linked post was written with Canadian readers in mind. US drivers can check rates via Consumer Reports.com. That’s where I found our best rate. You have to join Consumer Reports online to access the rates, but you can pay month by month for the online membership and cancel at any time. I think it’s worth it. The time you put in now will keep bringing in benefits many times over. That’s a lot better return than you can get from a savings account and many other investments these days. Click here to see my guest post at Canadian Budget Binder. UPDATE: I’m so happy that so many people have saved big money on their car insurance this way. One reader saves $400 a year by asking for discounts. Woohoo! Would you like to know how you can save money on your car insurance bills this year? 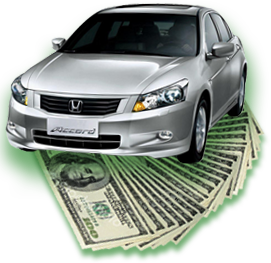 Here are practical tips for consumers on how you can reduce car insurance costs effectively. Wow, I had no idea that some people could only use one insurance company. At least when you have good driving habits you will probably also be safer! Good advice for all of us. Thanks, Miss T! We can only get our car insurance from one place where I live so we are limited with rates. However I get a discount if I keep a good driving record so my tip would be to drive good. Just read your post, femme. Very good! Yes, great minds think alike! The more info the better! We can all learn from each other. Thanks, femmefrugality! I hope we all save a bunch of money on insurance! It’s too funny…I had just scheduled a similar post for the same subject for the same day. 🙂 Loved your article.